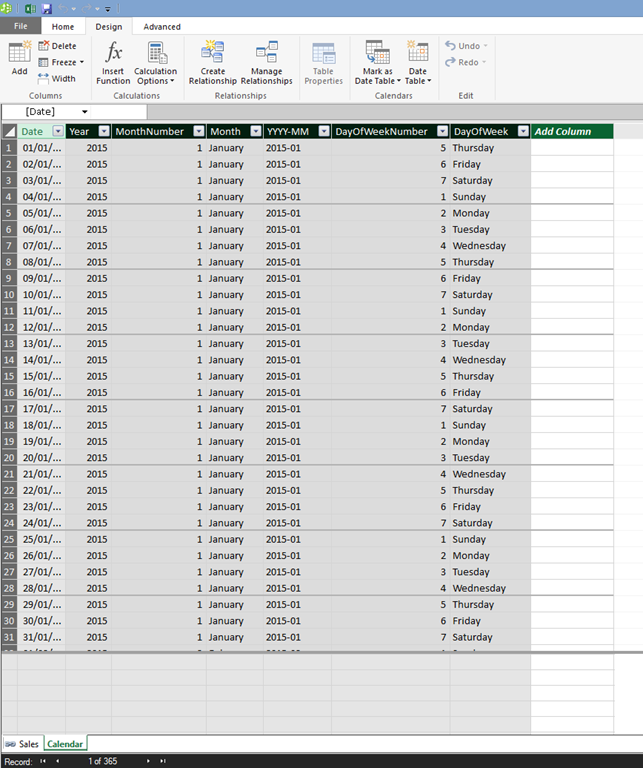 As you probably know, whenever you are doing any kind of date or time-based calculations in DAX you should always have a separate Date table in your Power Pivot model. 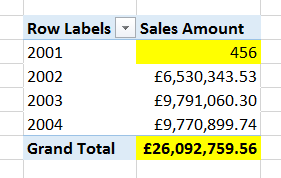 There are a number of ways of building these tables (see, for example, my Power Query query here) but they are all a bit of a hassle – which is why it’s so cool that, in Excel 2016, you can get one built automatically inside the Power Pivot window. 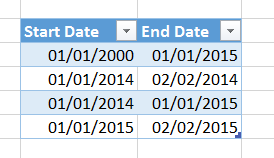 This table is automatically marked as the Date Table in your model. One other thing to point out is that the resulting table is a table like any other, so you can add, delete or rename columns as you wish. You should also be able to set the table back to its default state by using the Set Default menu option, but I couldn’t make that work (possibly it hasn’t been implemented yet – this post was written using the Excel 2016 Preview). You can then click the Save Configuration button to save the current state of the table as your default. This means that the next time you create a new Date table in the same workbook, the table will include any customisations. However these changes don’t seem to be applied in Date tables created in new workbooks – maybe this will also change before RTM? 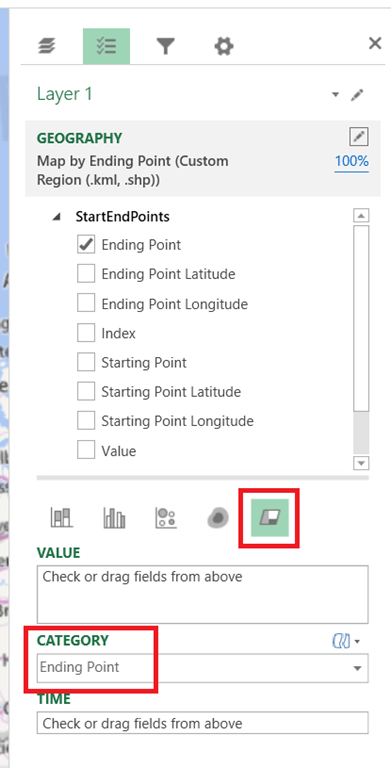 All in all, this is a very handy feature that will save Power Pivot modellers a lot of time. I wonder if it uses the new Calendar() or CalendarAuto() DAX functions under the covers? 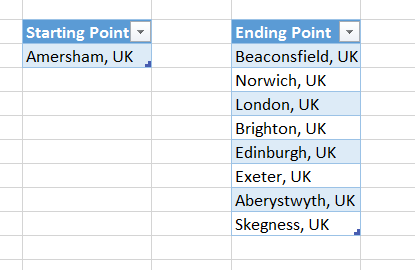 One of the most useful new additions to DAX in Excel 2016 and the Power BI Designer is the DateDiff() function. It does exactly what you would expect: calculate the amount of time in between two dates, and express that value as either seconds, minutes, hours, days, weeks, months, quarters or years. 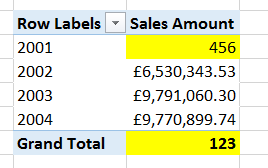 All very straightforward, then, and much easier than having to calculate these values yourself. The other day, while helping a customer with some particularly nasty MDX scoped assignments, I realised that there weren’t many good resources on the internet that explained how to use the MDX Freeze statement. It’s something I see used quite often, but usually because some MDX calculations aren’t giving the correct results and a developer has found that putting a Freeze statement in has fixed the problem – even if they don’t understand why it has fixed the problem. So, in this post I’ll explain what Freeze does, when you might want to use it, and when there are other other, better alternatives. This behaviour is the source of a lot of confusion! An assignment to one measure has indirectly changed the value of another measure, and of course in a real-world cube it can be very difficult to spot situations where this has happened and if you do, what other MDX has caused this to happen. Each statement in the MDX Script of a cube adds an extra layer of calculations to it, called a calculation pass; this is true for all the calculations in the examples above. As new calculations are added, and new passes are created, the previous passes still exist and are still accessible. In the second example above, in the outermost calculation pass, the measure M2 returns the value 2 but at the previous calculation pass (as seen in the first example) it returned the value 1. 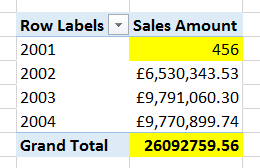 The Freeze statement allows you to freeze the values returned by a subcube of cells at a given calculation pass, so that no future calculations will change those values. Another very common way that scoped assignments can affect the value of a cell is through the aggregation of the results of a calculation. 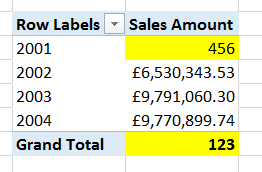 This blog post (one of the most popular I’ve ever written) explains how this behaviour can be used to implement calculations like currency conversions and weighted averages. However, in other cases, this aggregation of a calculation is an unwanted and unexpected side effect of a scope statement and calculated values that you did want to be displayed instead get replaced with weird, meaningless values. The Freeze statement can be used to stop this happening but in actual fact it’s a much better idea to understand the cause of these problems and rewrite your calculations so that Freeze isn’t necessary. What happens if we try to combine the two previous scope statements? This is because even though the first Scope statement successfully changed the value of the All Member, the aggregation of values triggered by the second Scope overwrote this value. 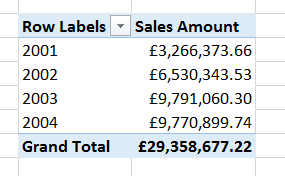 Although you can’t see this happening in Excel, where you only see the values returned at the final calculation pass of the cube, the MDX Script Debugger can be used to see the values returned for a query at all the different passes so you can work out what’s going on. It works with natural MDX behaviour rather than trying to fight against it. In this case it’s just one line of code less, but in the real world it could result in a much greater reduction. It’s true that you have to put a lot of thought into the ordering of your calculations, but I don’t think you can get away from that. Using Freeze to make your calculations work properly without understanding why it’s needed results in much more complex code, often with duplicated calculations because Freeze still doesn’t give the desired results, and is frankly a bit of a hack. There are, or at least were, performance implications with the use of Freeze. In Analysis Services 2005 I saw a few cases where the use of Freeze contributed to poor query performance, and where reordering scope statements so that it was no longer necessary made performance better. I’m not sure whether this is still the case with SSAS 2014 but it may well be. 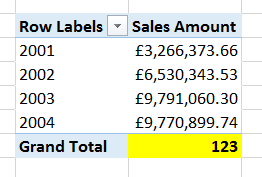 I see Freeze abused most often in financial cubes, when scope statements are used to define calculations on a chart of accounts hierarchy. Sometimes I have even seen the same calculation code appear in several places in the same MDX Script, just to make sure that the calculations always return the right result – all because the calculations on the chart of accounts dimension are aggregating up and overwriting each other. In this case the simple rule you have to remember is to always scope the calculations on the lowest level of the hierarchy first, then scope the calculations on the second-lowest level, and so on working your way up to the top of the hierarchy. This way you can be sure that your scope will never aggregate up and overwrite the result of another calculation. Apart from that, I also see Freeze used when a cube contains a Date Tool dimension that uses regular members instead of calculated members, in the way described here. Now there are a lot of good reasons to use regular members on a Date Tool dimension (it will work with all versions of SSAS and Excel for instance) but I have also seen a lot of cases where the fact that you are scoping calculations on regular measures, which may then get aggregated up accidentally, has caused a lot of problems – not only resulting in incorrect values appearing, but also making query performance worse. For that reason, nowadays I prefer to use calculated members on my Date Tool dimension rather than regular members. 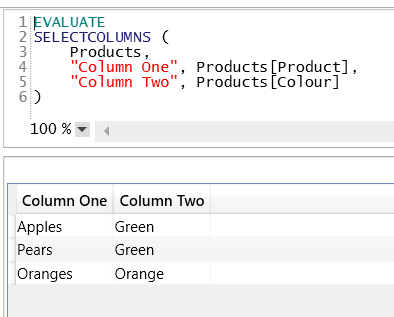 In Excel 2016, Power Query is no longer an Excel add-in but a native feature of Excel, and what’s more, you can now use VBA to create and manage Power Query queries. 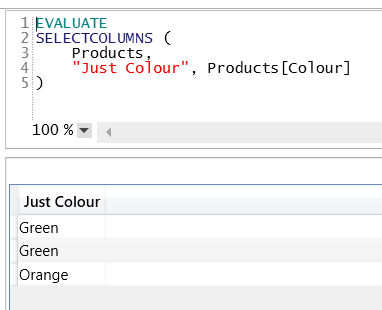 Secondly, I was contacted recently by Tycho Grouwstra who shared with me some of the interesting work he has done using VBA and Power Query in the Excel 2016 Preview, and who has very kindly allowed me to blog about it here. His work is much more representative of how I think most people will want to use this feature. Tycho sent me a .xlsm file containing all of the VBA code, which you can download here. 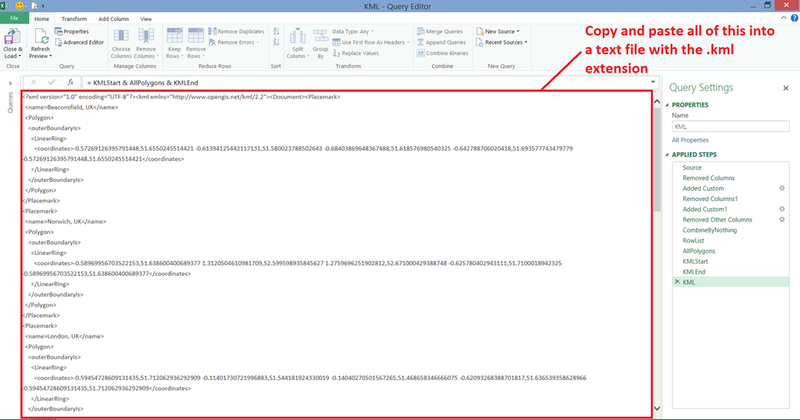 Obviously the code only works in the Excel 2016 Preview, but you can still open the file and look at the code in Excel 2013. However if you’re worried about downloading a workbook with macros in, I extracted the code to a text document which you can see here. If you want to copy the code to use in your own workbook, you’ll need to go to the VBA Editor, select Tools/References and add a reference to “Microsoft ActiveX Data Objects 6.1 Library”. 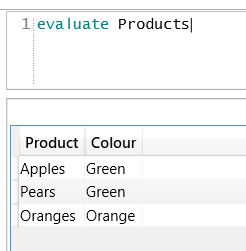 Loading the output of a query into an Excel table using the code given here doesn’t seem to have the same result as loading a query to a table in the worksheet using the Power Query UI: it creates a blue, rather than green, table that doesn’t always retain row order. 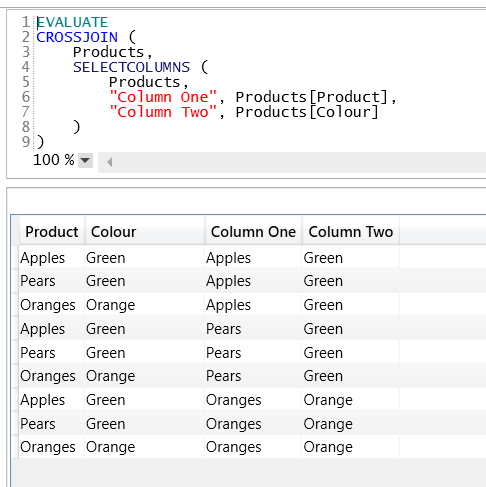 I can imagine a lot of serious Power Query users will create workbooks containing a library of their most useful queries and functions, and use VBA code to copy these queries and functions into new workbooks as and when necessary. 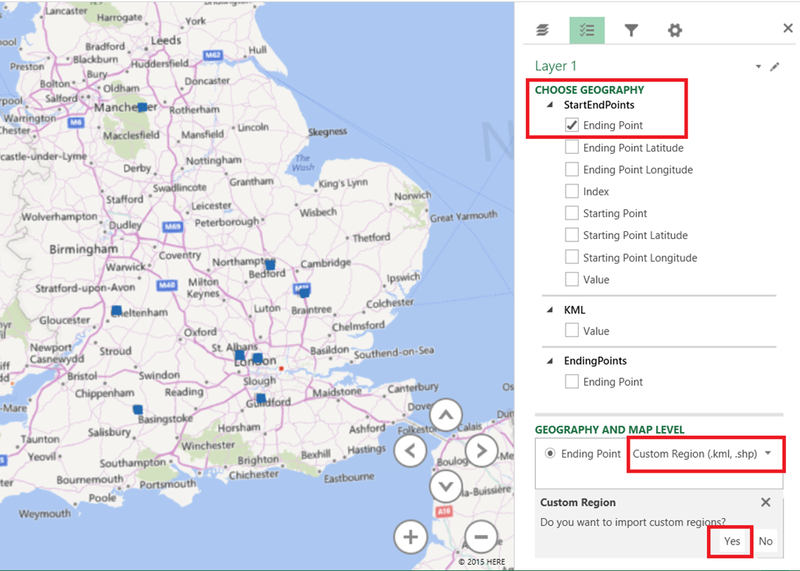 We’ll have to wait and see what Microsoft’s plans for sharing Power Query queries are, whether they’ll go beyond what’s already been seen in Office 365 Power BI, whether they will be part of a bigger bundle of services and what the cost will be. We’re almost halfway though the year and so I would draw your attention to some of the training courses we have coming up at Technitrain. Since you are the the discerning sort of person who reads my blog, then you are probably also going to be the discerning sort of person who is interested in the kind of expert-led Microsoft BI and SQL Server training that Technitrain runs! To get regular updates on new courses, you can sign up for our mailing list here. I know this is only next Friday but there are still places available. 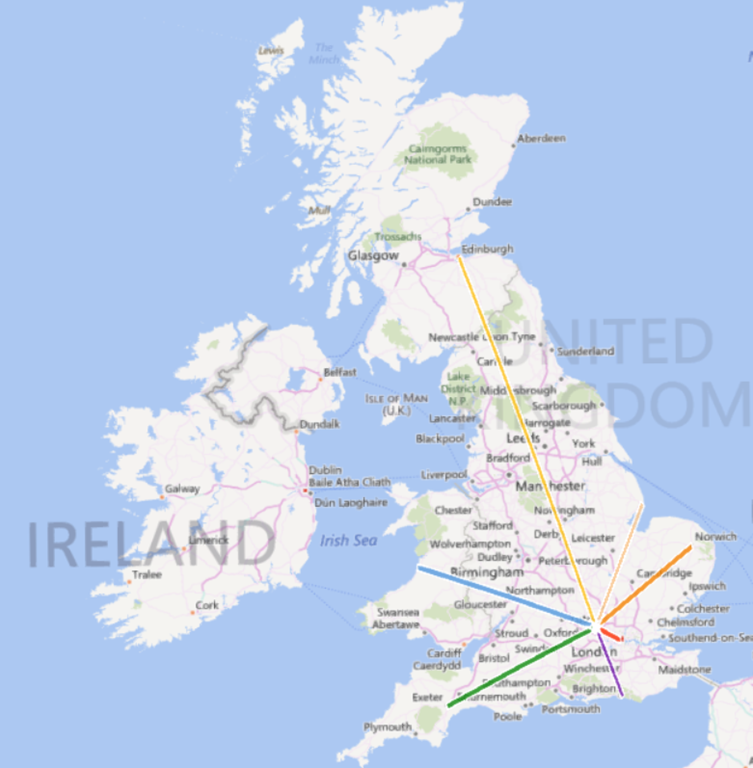 It’s a one-day precon for SQL Saturday Edinburgh BI Edition, which is well worth attending too. 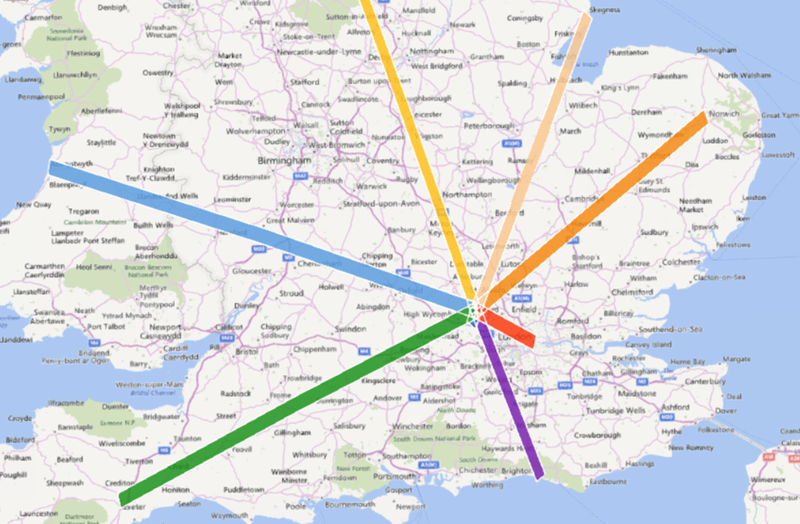 On this course I’ll give you a full introduction to Power BI, what it is, when to use it, and where it’s going. If you’ve already got some SSIS experience but want to find out about design patterns, best practices, BIML and new features in SSIS 2012/2014, this is the course for you. Allan (http://sqlha.com/) is probably the number 1 expert on high availability for SQL Server, and this course will cover features such as AlwaysOn Availability Groups, true multi-site failover clustering instances, support for Windows Server Core, and what’s new in SQL Server 2016. Yes, MDX isn’t cool or fashionable any more, but if you’re working with SSAS Multidimensional you still need to know it. On this course I’ll teach you all you need to know about MDX queries and calculations. I’m particularly excited about this course, in part because the subject matter is so interesting (and so now) and in part because Rafal has such an amazing reputation as a trainer and a speaker, so I know it will be great. You can see a very detailed course agenda here. If you can’t make it over to the UK, don’t forget that a lot of my training material on MDX and SSAS has been recorded and is available on subscription at Project Botticelli, along with videos from Rafal, Marco Russo, Alberto Ferrari and others. Register with the discount code TECHNITRAIN2015 for a 10% discount.